Baby Fossa Hypercute. Cute baby fossa smiling. Wallpaper and background images in the Os Pinguins de Madagascar club tagged: penguins of madagascar penguins. Haha, it did Hyper-Cute BOOSH thing on Private! Awww! Those big green eyes are killing me. 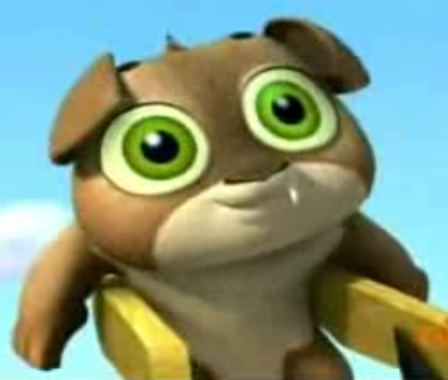 Has there ever been a character with green eyes before this little guy? I don't remember. @LeonardFan Marlene's eyes are brown. There was like a picture of her with green eyes or something before the show came out, but usually her eyes are amber. What You Talkin Bout, Skipp? !